It is with a heavy heart that I inform you of the passing of our WWII shipmate Russell Ferguson, EM3(SS). He qualified on the USS Haddo (SS-255) in 1945. Russell L. Ferguson, age 90 of Hilliard passed away Sunday, May 17, 2015. Born July 16, 1924 in Logan County, Ohio. Loving husband for 67 years to the late Winifred Jeffers Ferguson; devoted father of Debbie (Matt) Cox, Tom (Betty Blau), Carol (Greg) Godec, Matthew (deceased), Janice (Pat) Blubaugh; Grandfather of Spencer (Erisa), James (Amber), Meredith (Pat), Jackie (Kevin), Joel (Kelsey), Nick , Leslie and Scott. Great grandfather to Jesse, Dahlia, Jenna, Evan, Stella and Reagan. Loving brother-in-law to Ruth Pekar and Ivaleen Jeffers. Russ is preceded in death: by his parents Arley and Elva (Frey) Ferguson, brother Verle (Betty) and sister Vidah (Marvin) Coulter. Brother-In-law to the following deceased: Wanda (Allen) Pyers, Wilma (Harry) Winkler, Selma (Don) Royer, Frank Pekar, Jim (Margret) Jeffers, Bernard Jeffers, Naida (Al) Larson; and Loving Uncle to many nieces and nephews. Russ was a Submariner in WWII serving in the Pacific theater aboard USS Haddo (SS-255) as an electricians mate. Electrical contractor by profession, always giving his time and skills to friends. Russ had been involved at church for many years. Memorial contributions can be made to Abundant Life Lutheran Church, PO Box 6021, Hilliard, OH 43026 or Mt. Carmel Hospice, c/o Mt. Carmel Foundation, 6150 E. Broad St., Columbus, OH 43213. Visitation Saturday, May 23 from 1:00-3:00 pm at Tidd Funeral Home, 5265 Norwich St., Hilliard, Ohio 43026. Service will be held immediately following the visitation at 3:00pm at the Tidd Funeral Home. Columbus Base will honor EM3(SS) Russ Ferguson during the funeral service and vests will be worn. Columbus Base will make a $100.00 donation to the USSVI Scholarship Fund in Russ Ferguson's memory. We will miss you, Russ. 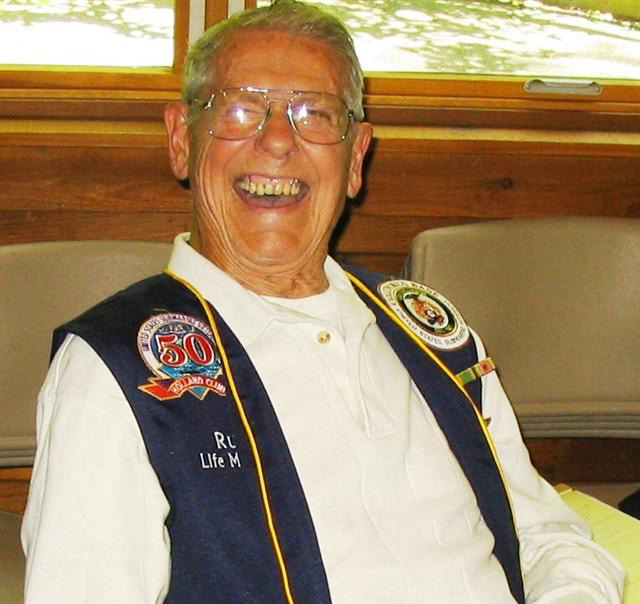 It is with a heavy heart that I inform you of the passing of our WWII shipmate Clem O'Brien. He qualified on the USS Albacore (SS-218) in 1943. Clem made 8 WWII combat patrols. Clement Edward O'Brien, 94, passed away April 10, 2015 at home in Upper Arlington with family. Born November 12, 1920 in Wheeling, West Virginia to the late Judge JJP and Blanche O'Brien, he was one of eight children, all deceased. He graduated from the US Naval Academy in 1942, and served as a submariner on the USS Albacore (SS-218) in the Pacific in World War II, receiving a Bronze Star and Navy Commendation for valor in combat. He attended Navy flight training and continued to serve until retiring in 1962 as a Commander and settling in Upper Arlington. An avid aviator, he was a quality control engineer with North American Aviation/Rockwell Int'l before moving with his family to St. Johnsbury, Vermont, working for Fairbanks Industries. He retired and returned to Upper Arlington in 1987. Clement married Jacqueline Lee Crook in 1949 and raised twelve children together until her death in 1999. He remarried in 2003 to Nancy Hall. He was proud of his family, his Irish heritage, and his service to his country. He was blessed with 38 grandchildren and 16 great grandchildren. Preceded in death by his first wife, Jacqueline, and his daughter, Janet Paniccia. He is survived by his wife, Nancy, and his children, Maureen Kerscher, Dierdre (Rick) Bersnak, Kevin (Charlotte), Sheila (Dave) Rodriguez, Tracy (Fred) Fisher, Sean (Mary), Michael (Marie), Neal (Maureen), Colin (Olga), Ned (Margaret), and Mark (Maura). Family will receive friends from 5 p.m. to 7 p.m. Wednesday, April 15th 2015 at the SCHOEDINGER NORTHWEST CHAPEL, 1740 Zollinger Rd., Upper Arlington. Columbus Base will honor Commander Clem O'Brien and will be wearing vests. A Mass of Christian Burial will be held 11 a.m., Thursday, April 16, 2015 at Our Lady of Victory Catholic Church, 1559 Roxbury Rd. Monsignor John Cody will celebrate the Mass and internment will follow at a later date at Resurrection Cemetery. Columbus Base will make a $100.00 donation to the USSVI Scholarship Fund in Clem's memory. We will miss you, Clem. The Columbus Base "Tolling of the Bells" dinner was held Saturday 11 April at VFW #4931, 2436 Walcutt Road, Columbus OH 43228. This event honors and remembers the sixty five (65) submarine losses since establishment of the U.S. Submarine Force. (53 in War time, 12 in Peace time). On Saturday 4 April and Sunday 12 April Columbus Base participated in two Hilliard Eagle Scout Court of Honor ceremonies, presenting the USSVI Eagle Scout patch to the two honorees, Marshall Johnson and Brice Steiner. The patch can be seen in the photo of Marshall Johnson who is wearing it on his left pocket. Congratulations to these two outstanding young men for their hard work and dedication in attaining this status. The Columbus Base March meeting was held at: American Legion Leasure-Blackston Post 239, 700 Morning Street, Worthington, OH 43085 (Map). Photos of this meeting are posted in the gallery and can be viewed by either clicking on the thumbnails to the left or "Photo Gallery" tab in the main menu. The Columbus Base February meeting was held at: American Legion Leasure-Blackston Post 239, 700 Morning Street, Worthington, OH 43085 (Map). New member Todd VanKirk was welcomed aboard and Sgt. Maj. Donald Bocook gave a short presentation on Central Crossing High School NJROTC's trip to Pearl Harbor and visit of the USS Columbus SSN-762. Photos of this meeting are posted in the gallery and can be viewed by either clicking on the thumbnails to the left or "Photo Gallery" tab in the main menu. Shipmates, our normal meeting place, American Legion Leasure-Blackston Post 239 will not be available this Saturday due to activities at the post related to the death of Post Chaplain John Forsythe's wife. The Columbus Submarine Veterans offer our condolences to Chaplain John Forsythe and his family. Our meeting has been rescheduled for 14 Feb, see calendar for details. It is with a sad heart that I share the passing of base memberCecil E. Johnson, 74, of Coshocton, he departed on Eternal patrol January 9, 2015 at the Coshocton County Memorial Hospital. Cecil served in the United States Navy on the Submarine U.S.S Dogfish SS-350. He worked and instructed for Ohio Bell and Ameritech for 36 years before retiring. He was a member of the Sportsman’s club and Columbus Sub Vets (Holland Club member). In his spare time he enjoyed hunting, fishing, and spending time with his family. He was also an avid sports fan who loved the Cleveland Browns, Cleveland Indians and The Ohio State Buckeyes. He was born May 4, 1940 in Dresden to the late Glen and Nellie (Dickerson) Johnson. Cecil is survived by his wife, Charlotte (Hall) Johnson whom he married May 9, 1964; two sons Dave (Kim) Johnson of Baltimore, OH and Dan (Gisele) of Gahanna, OH; five grandchildren Abby, Kyle, Rory Johnson of Baltimore, OH and Ethan and Aidan Johnson of Gahanna, OH; brother Glen Earl Johnson of Plainfield; sister Faye (Bernard) Maple of West Lafayette. Along with his parents he is preceded in death by his brother Harry Johnson. A celebration of life will be held at The Miller Funeral Home, 639 Main St., Coshocton on Wednesday January 14, 2015 at 11:00 AM with Pastor Mark Granger officiating. Coshocton County Veterans Honor Guard will be performing military honors at the funeral home. Interment will follow at Franklin Cemetery. Columbus Base will make a $100 donation to the USSVI Scholarship Fund in Cecil's’s memory. We will miss you Cecil. The Columbus Base January meeting was held at: American Legion Leasure-Blackston Post 239, 700 Morning Street, Worthington, OH 43085 (Map). The base welcomed new member Mike Milenovic and son as well as visitor Joe Crimer. Photos of this meeting are posted in the gallery and can be viewed by either clicking on the thumbnails to the left or "Photo Gallery" tab in the main menu. This past Saturday morning, December 20 2014, I received a call from Bob Wells advising that our friend and shipmate George Trace embarked on Eternal patrol. I've been waiting for the obituary so I could give you more complete information, but it's as yet unpublished. Therefore, in the interest of expediency, I thought it better to at least let you all know now, and follow up later when I have more complete information. George served in the Merchant Marine during WWII. He joined the US Navy in 1945. George was a Yeoman. He served aboard surface craft USS Maryland (BB-46), USS Albany (CA-123/CG-10), and USS Mississippi (AG/EAG-128). In 1951, George reported aboard USS Caiman (SS-323), on which he qualified in submarines. He was subsequently transferred to USS Besugo (SS/AGSS-321) prior to discharge in 1952. George joined USSVI in 2002 and Columbus Base in 2008... becoming a Life Member of both. He was inducted into the Holland Club in 2008, celebrating being qualified in submarines for more than 50 years. George was also a member of the USS Caiman Association. Columbus Base will make a $100 donation to the USSVI Scholarship Fund in George’s memory.